The Tour of the Jungfrau Region is described as a clockwise circuit of 111km beginning at Schynige Platte and ending at Wilderswil. 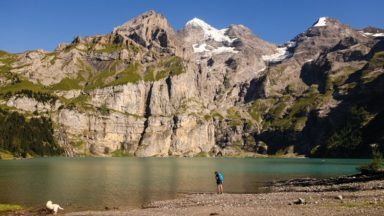 It is broken into 10 stages (with alternatives offered), through the Bernese Oberland under the Mönch, Eiger and Jungfrau. 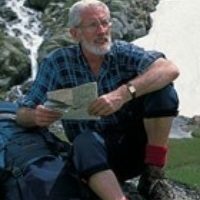 With spectacular mountain views, glaciers, lakes and ridges, it is a classic walk. fly in to Geneva, Zürich or Basle - there are popular resorts at Interlaken, Grindelwald, Mürren, Lauterbrunnen and Wengen. 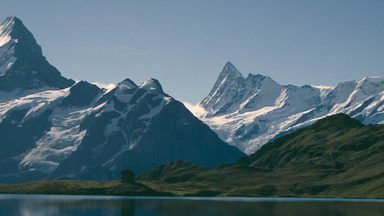 views of famous Alpine peaks such as: the Eiger, Mönch and Jungfrau; the Lauterbrunnen Valley; the Jungrau-Aletsch-Bietschhorn UNESCO World Natural Heritage Site; glaciers such as Eigergletscher and waterfalls such as the Trümmelbach Falls; also alpine flowers. 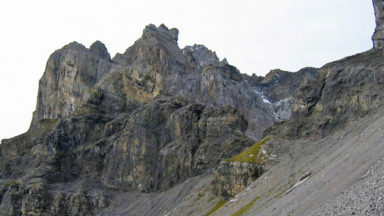 The Tour of the Jungfrau Region is described as a clockwise hut-to-hut circuit, beginning at Schynige Platte and ending at Wilderswil, broken into 10 stages (with a number of alternatives offered). 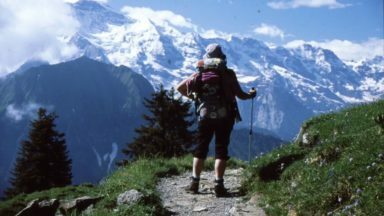 The 111km trek takes you in a horseshoe loop through the Bernese Oberland's most spectacular mountain scenery, in the shadow of such iconic peaks as Wetterhorn, Eiger, Monch and Jungfrau. 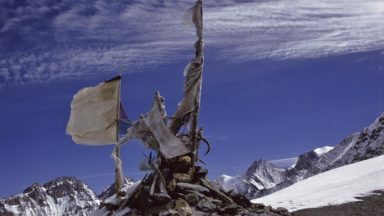 In a journey of 9 to 10 days the Tour visits pastures, ridges, summits and passes, skirts exquisite mountain lakes and gazes on waterfalls, gorges and glaciers. Accommodation is both plentiful and atmospheric, and the route has lots of bad-weather alternatives. The Tour of the Jungfrau region does what it says. 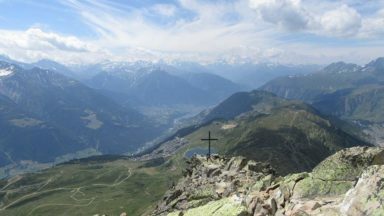 The walker is immediately uplifted into higher altitudes and commences a circuitous route with spectacular views of the Alpine giants. It’s a busy area but Kev’s latest edition suggests options to visit remoter terrain.